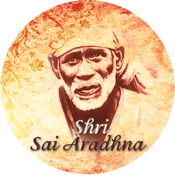 Shri Sai Aradhana is a Free Mobile App which contains various Mantras, Chalisa, Prayers and more of Shri Shirdi Sai Baba. 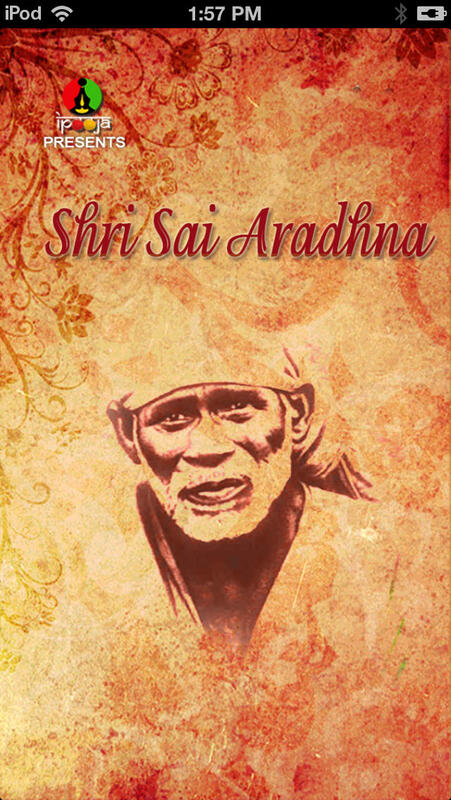 Shri Sai Baba was an Indian guru, yogi, and fakir who is regarded by his devotees as a saint. Many devotees — including Hemadpant, who wrote the famous Shri Sai Satcharitra — consider him an incarnation of Lord Krishna while other devotees consider him as an incarnation of Lord Dattatreya. - Beads counter will increase by one with each chant repetition. - After 108 repetitions of Beads, the Mala counter increases by 1. - The number 108 is a standard repetition count also called Jaap. - You will have the choice to reset the counters back to zero for a fresh start. - Set the Audio settings at "Continuous". The audio will be played continuously. - Set the "Number Of Times" for the audio. It will be played for 'chosen' number of times. - Set the "Time Duration" for the audio. The application is presented by iPooja (developed by MediaAgility LLC) which specializes in creating Smart Phone based Mobile Applications. iPooja Apps are passionate about Smart Phone based Mobile Applications and that's why we believe that our apps will be very valuable to you. Our Apps meet our rigorous quality standards and testing before they reach you. We hope you will enjoy your purchase thoroughly and will come back to buy more apps from MediaAgility. NOTE: After upgrading the new version of the application, please restore your already purchased in-app item(s). 1. Click on Get More Button on Main Screen. You will get a list of in-app item(s). 2. Click on any already purchased in-app item(s), for e.g : Shri Sai Chalisa. You will get details of the in-app item with option to "Buy" and "Restore". 3. By clicking on "Restore" button, your in-app item will start downloading. There will be no extra charges for restoring the in-app items(s).